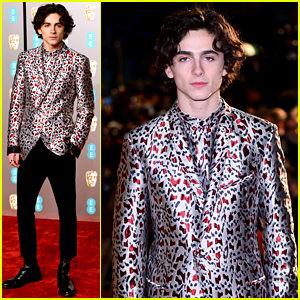 timothee chalamet Photos, News, and Videos | Just Jared Jr.
Timothee Chalamet is having fun with photographers while at the Charles Finch & Chanel pre-BAFTA’s Dinner on Saturday night (February 9) at Loulou’s in London, England. The 23-year-old Beautiful Boy star looked handsome as he signed autographs for fans and posed for pictures before making his way in for the event. Timothee is nominated for Best Actor in a Supporting Role for his role of Nic Sheff in Beautiful Boy. He is up against Mahershala Ali, Adam Driver, Richard E. Grant and Sam Rockwell in the category. 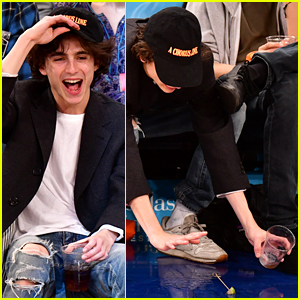 Timothee Chalamet plays it off like a pro after spilling his drink! 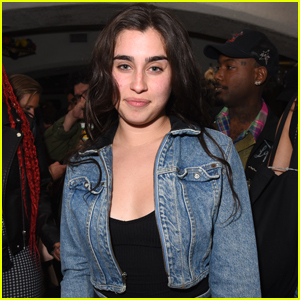 The Call Me by Your Name star watched as the Detroit Pistons played the New York Knicks at the basketball game held at Madison Square Garden on Tuesday (February 5) in New York City. He didn’t let it get his spirits down though – Timothee was all smiles as he enjoyed his night. He wore a white t-shirt with ripped jeans, a long black blazer, white sneakers and socks, and an “A Chorus Line” baseball cap. In case you missed it, a fan recently sat next to Timothee on a flight and tweeted about every detail! 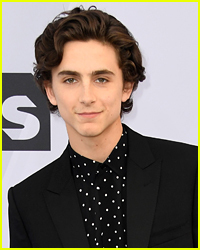 Timothee Chalamet hits the red carpet for the 2019 Screen Actors Guild Awards held at the Shrine Auditorium on Sunday (January 27) in Los Angeles. The 23-year-old actor, wearing some sleek leather pants, is up for Best Supporting Actor in a Film, opposite Mahershala Ali, Adam Driver, Sam Elliott and Richard E. Grant. Only actors are able to vote for the SAG Awards, which celebrate acting in both movies and television. Tune in for the show TONIGHT, January 27th @ 8pm EST / 5pm PST on both TNT and TBS. FYI: Timothee is wearing Celine by Hedi Slimane. Lady Bird co-stars Saoirse Ronan and Timothee Chalamet paid a visit to The Graham Norton Show on Thursday (January 17) in London, England. They were joined by Laura Linney and The 1975. Graham also played a clip of a young Saoirse doing a hilarious impression of Shrek’s Gingerbread Man on the radio, which won her a trip to Florida. Watch all of the videos below! Also pictured inside: Timothee enjoying the nightlife scene later that day in London, and Saoirse arriving at BBC Radio 2 for interviews on Friday in London. FYI: Saoirse is wearing a Givenchy dress and shoes and Venyx jewelry on The Graham Norton Show.